HOUSE WRAP is a customized summer house design driven by the needs of its future inhabitants. Design is inspired by the art of paper folding, exploring three-dimensional qualities of folded planes. Building geometry is driven by a parametric model in Top Solid. The 3D model with all its structural elements (beams, joints etc) is steered by a simple crease pattern – a flat surface with a series of folding and cutting lines. The 3D file is then linked to a fabrication file. Changes in the 3D space update the fabrication file in real-time, what allows for changes at any moment of the design process. 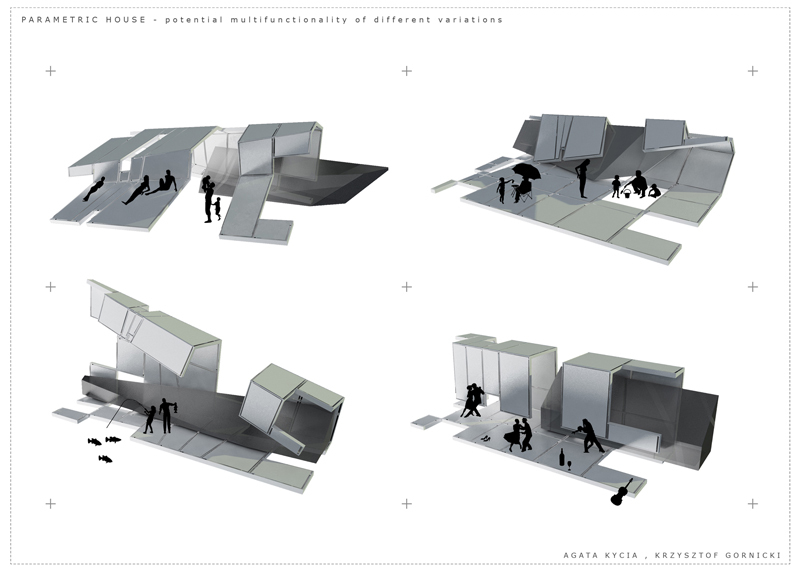 Folded planes create spaces with various degrees of enclosure, exploring boundaries between public and private, indoor and outdoor spaces. Potential clients can define the ratio of open/closed surfaces and the house will be customized accordingly to their needs. Various inclinations of the folds offer potential spaces with various degrees of privacy. Wrapping surfaces define in the same time dimensions and geometry of a glazed inner volume. 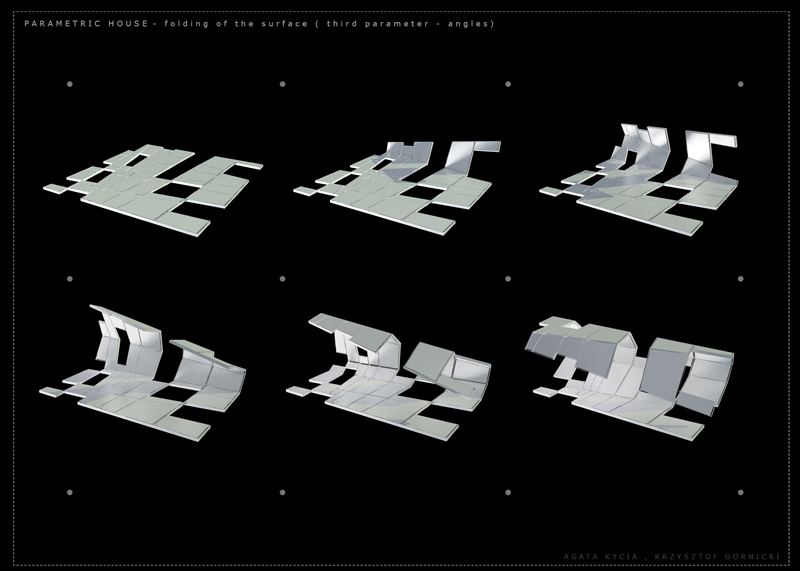 Model can also adapt to the topography and surrounding context. This robust tool in combination with the spatial qualities of folded planes offer a wide range of potential forms and sculptural configurations. The video below shows all the elements of the 3D model in Top Solid: the 2D plane with folding lines and cutouts, the 3D model with all the beams and joints, and the 2D fabrication files, all of them updating themselves automatically according to the changes in the 3d model.